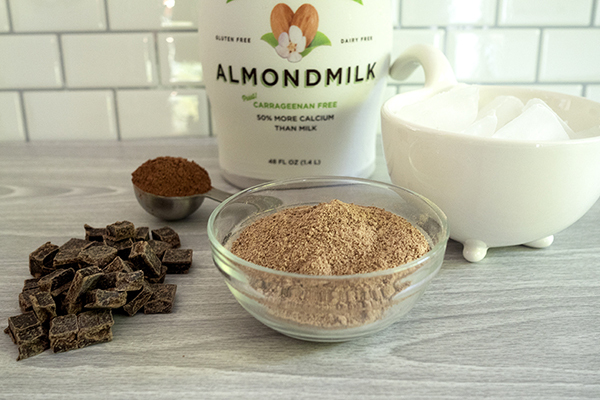 8 Shakeology Recipes With Only 5 Ingredients! Your social media feeds are full of them: gorgeous, elaborate smoothies with 52 ingredients (15 of them sold only online) and a color-coordinated array of tastefully arranged toppings. Pretty, yes. Practical? Not so much. When you’re running out the door in the morning or barely able to lift your arms after a LIIFT4 Shoulders workout, making a complicated Shakeology smoothie just isn’t gonna happen. 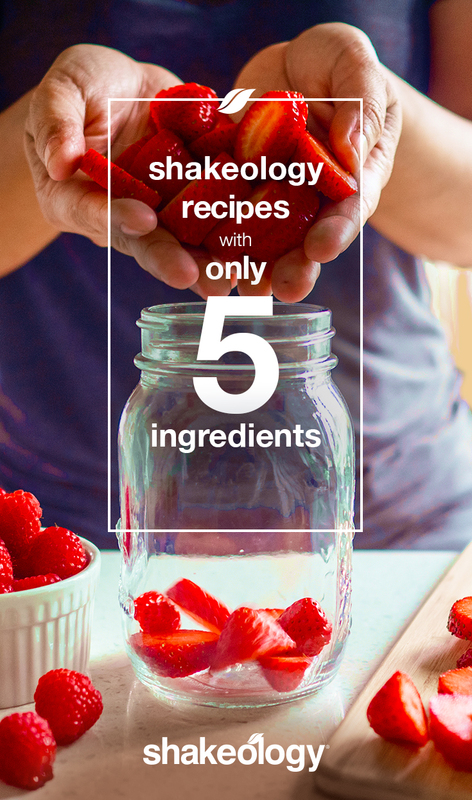 That’s why you need these 8 Shakeology recipes with only five ingredients: They’re simple, delicious, dependable recipes, with ingredients that you probably already have in your fridge and pantry. 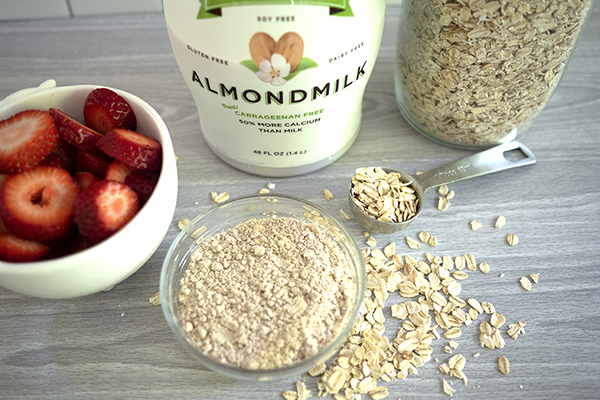 This deliciously satisfying Strawberry Oatmeal Breakfast Shakeology takes your regular morning oatmeal and kicks it up a notch. With fresh (or frozen) strawberries plus Strawberry Shakeology, this shake will definitely satisfy your berry craving and fill you up with superfood nutrition to boot! This Mocha Chip Latte Shakeology recipe will make you swear off those coffeehouse lattes forever. This luscious shake is full of chocolatey, creamy goodness and 20 grams of protein! (Beat THAT, coffeehouse latte). If you’re a dues-paying member of the I Hate Vegetables Club, then we have a recipe for you. 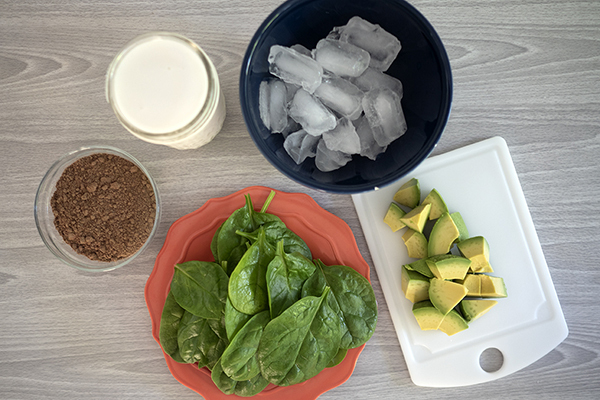 The struggle is real for picky eaters, so we snuck in some spinach plus a delicious scoop of Chocolate Shakeology. Whether you love veggies or not, everyone can enjoy this velvety smoothie. When you sip on this Creamy Tropical Shakeology, it’s not hard to imagine lying on a sandy beach somewhere hot. 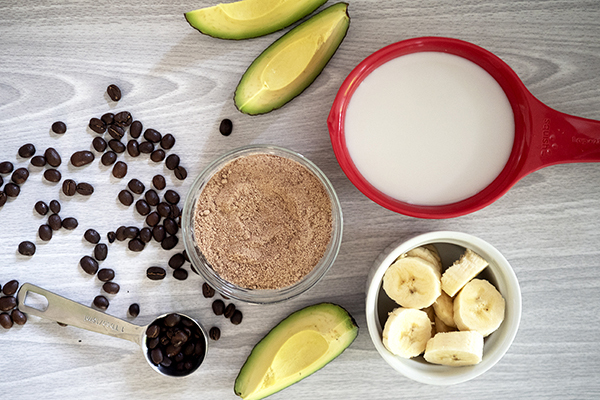 But unlike the typical beach drink filled with sugar and other not-so-healthy ingredients, this tropical drink features banana, avocado, and Shakeology. There’s something so comforting and familiar about bananas + berries. The dependable duo is the base for all kinds of smoothie recipes, but sometimes you just need to let those two flavors shine. This Banberry Shakeology recipe does just that, with a scoop of Strawberry Shakeology to add some superfood nutrition to your shake! You can never, ever go wrong with dark chocolate. And when you add some sea salt to balance out the sweetness, it’s perfection. This five-ingredient Dark Chocolate Sea Salt smoothie is an ideal way to savor that salty-sweet combination. A huge cup of coffee is a delicious way to wake up in the morning, amirite? But let’s face it — it’s not the most nutritious way to start your day. Here’s a better way to face the day: Try this Sweet Creamy Coffee Shakeology. 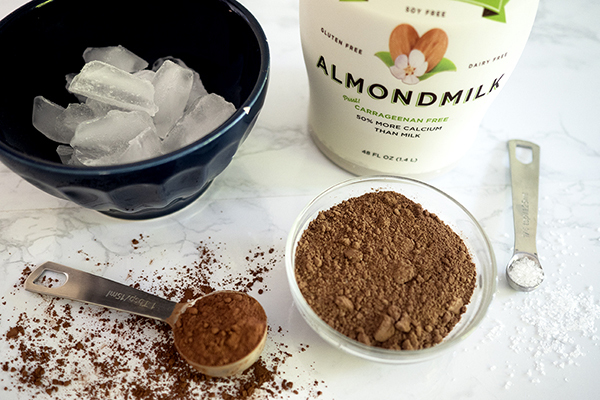 All you need are five ingredients, and in about 10 minutes, you’ll have the flavor of coffee plus the healthy nutrition of Shakeology in a glass. Sometimes you feel like a smoothie with all the ingredients: berries! bananas! milk! chia seeds! honey! almond butter! avocado! kale! The problem with all that deliciousness? 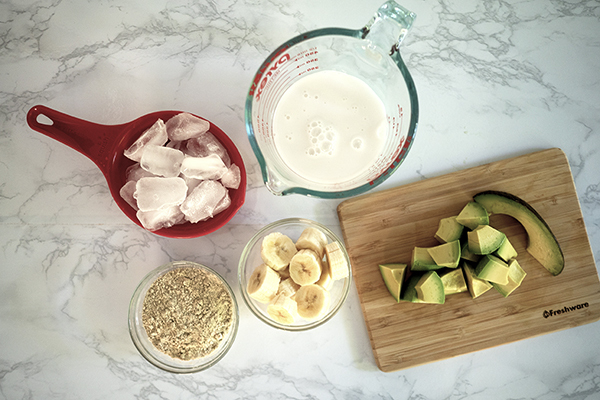 The more ingredients you add to your smoothie, the easier it is to forget about proper portions. 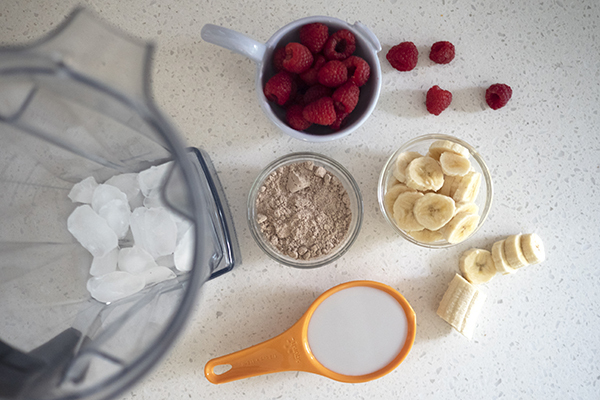 The answer: A simple, delicious shake with just a handful of healthy ingredients, perfect if you’re short on time or you don’t feel like investing $25 in a single smoothie. 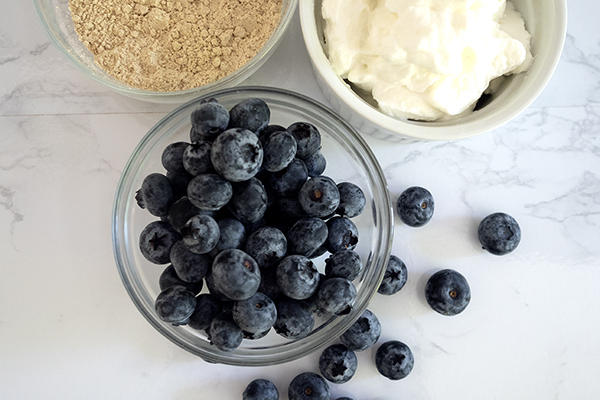 This Blueberry Yogurt Shakeology hits all the right notes — it has only five ingredients, it’s easy to make, and it’s healthy!